Posted on October 15, 2018 at 12:01 pm. Night Lights, RACC’s outdoor public art event series continues with local artists Roesing Ape and Beth Whelan. Following a successful kickoff to the series with Laura Median’s Flying in October, the next Night Lights event will take place on November 1st at 6PM. 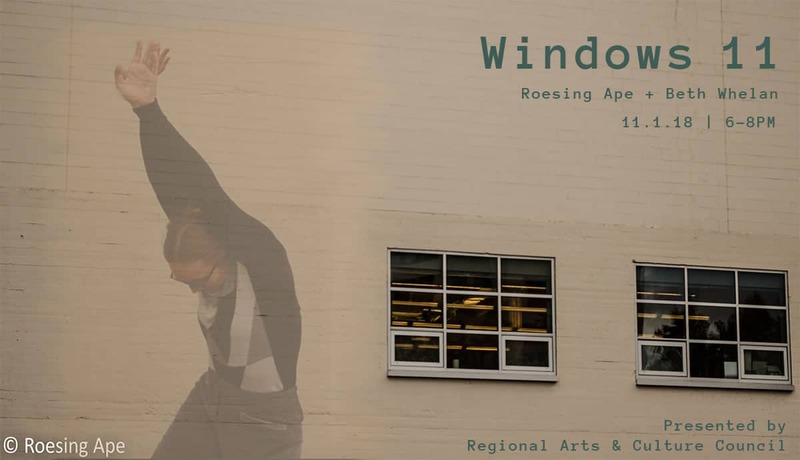 Titled Windows 11, Ape and Whelan’s work involves a minimalist dance piece inside an architectural projection of the building itself. This interactive piece will use both prerecorded and live dance. For December, Roland Dahwen and Stephanie Adams-Santos will present Three Moons/Tres Lunas/3つの月, a two-channel video installation and altar, dedicated to, and made alongside, our elders. In conjunction with the video and text projections, the artists will build several temporary altars. Mixing personal and familial artifacts, religious symbols, and offerings, these altars will enshrine the space as more-than-art: as an actual devotional and spiritually imbued act of honoring our elders. 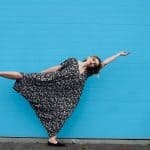 Beth Whelan is a movement based artist with training in modern, ballet, improvisation, and choreography. Her work is based upon creating shapes within the body that fluidly disperse and rearrange in synchronicity with the breath. 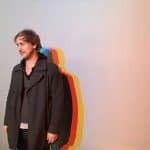 Roesing Ape is a multidisciplinary artist with a focus on the deconstruction of cognitive frameworks in sound, language, and sight. This results in a mostly unmarketable catalog of site specific video, improvised soundscapes, and nonlinear performance pieces.